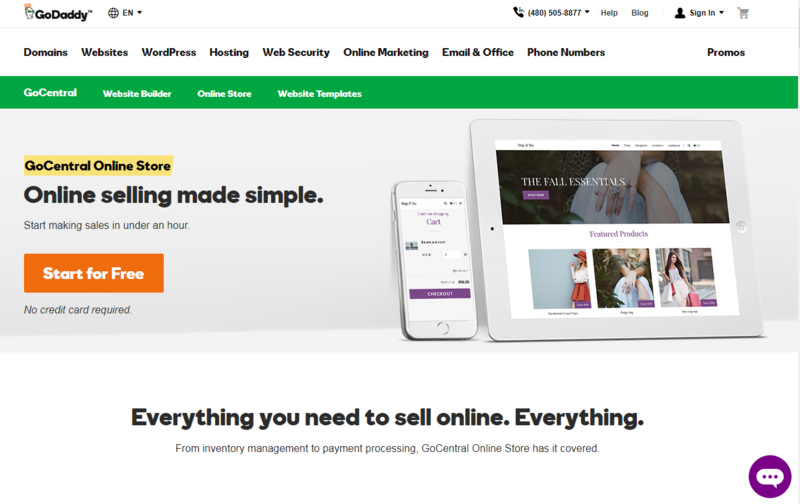 GoDaddy is famous for being a host provider but the company also offers a simple shopping cart solution. One thing good about this is that they are an all-in-1 service provider. Merchants coming to them to buy hosting would be able to try out their Website Builder and Online Store solution. The service does not come free but is on a monthly subscription plan much like their hosting plan. Here’s the skinny on the GoDaddy review based on their Website Builder. O, Yeah! 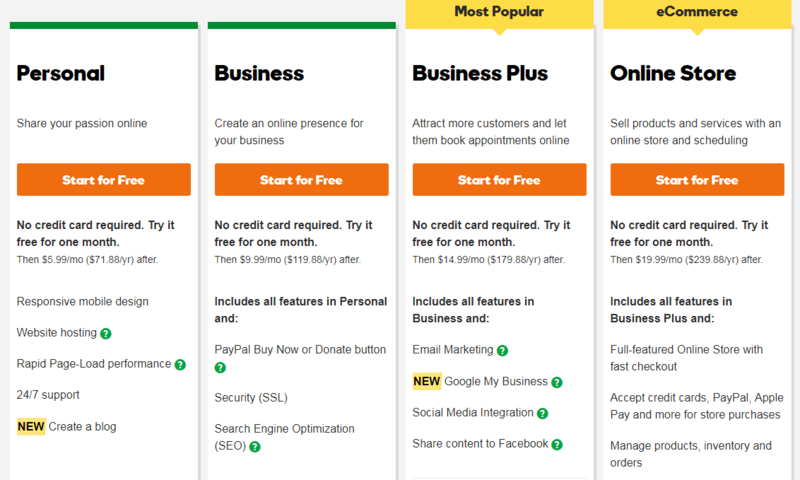 Simple to set up and comes with only 3 basic steps for merchants to set up their online website. Affordable pricing. Comes with free hosting, customer support, emails. Previously no free trial but now offers 30 days free trial for merchants to try. O, No! Templates provided are very simple and not really impressive. May not be suitable for advanced users or big merchants. 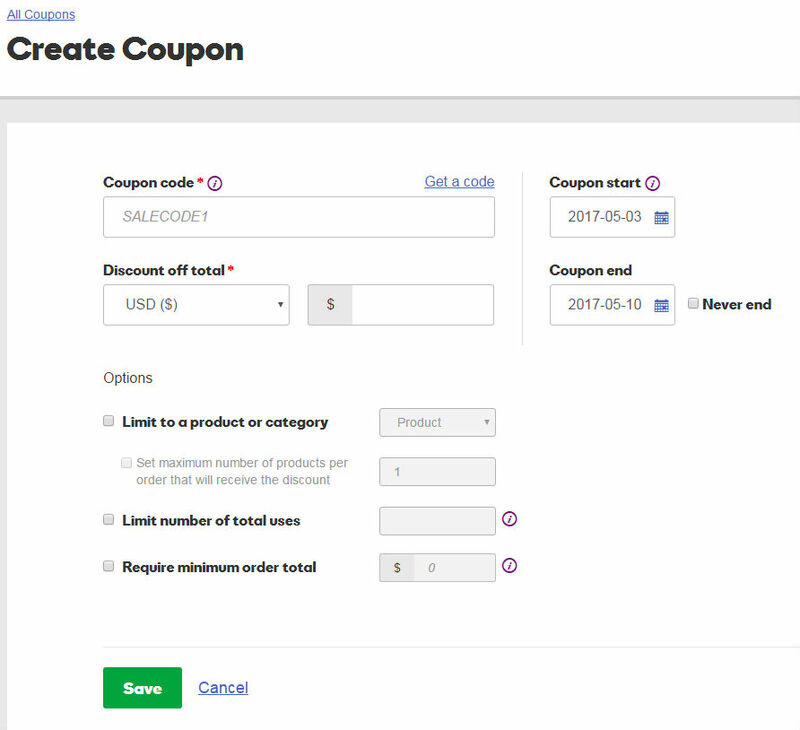 For new beginners or first time merchants who want to try setting up an online store, they will find GoDaddy’s solution easy to use. Plus the fact that you could have your domain name registered, site hosted and built by using the company’s solution. Those who want to move their domain to GoDaddy will find the GoDaddy domain transfer process easy and quick. There are 4 different pricing tiers offered – Personal, Business, Business Plus and Online Store. Of course the longer you sign up, the more you will save in terms of monthly subscription fees. Also, every plan comes with Business Email from Office 365 which is free for the 1st year. With so many people using their smartphones and tablets to shop these days, the company has added free mobile sites for each plan. Note : Both Personal plans do not come with SSL certificate (used for accepting online payment – keeps your site secure). Only the Business, Business Plus and Online Store plan comes with a free SSL cert (again, free for only 1st year). 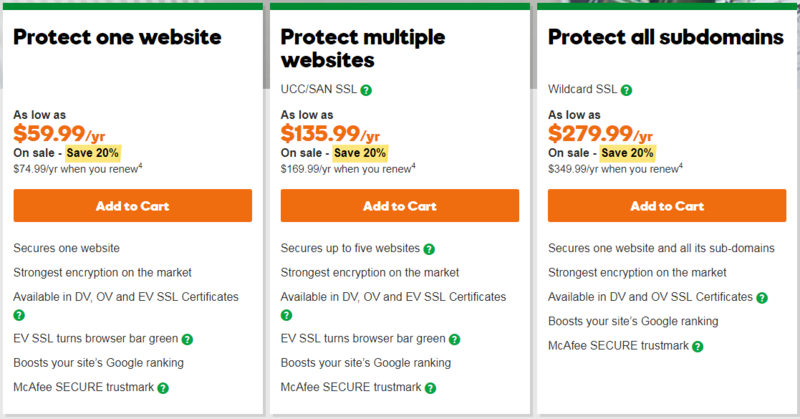 You will need an SSL cert so you could choose to purchase from GoDaddy or other SSL cert providers. 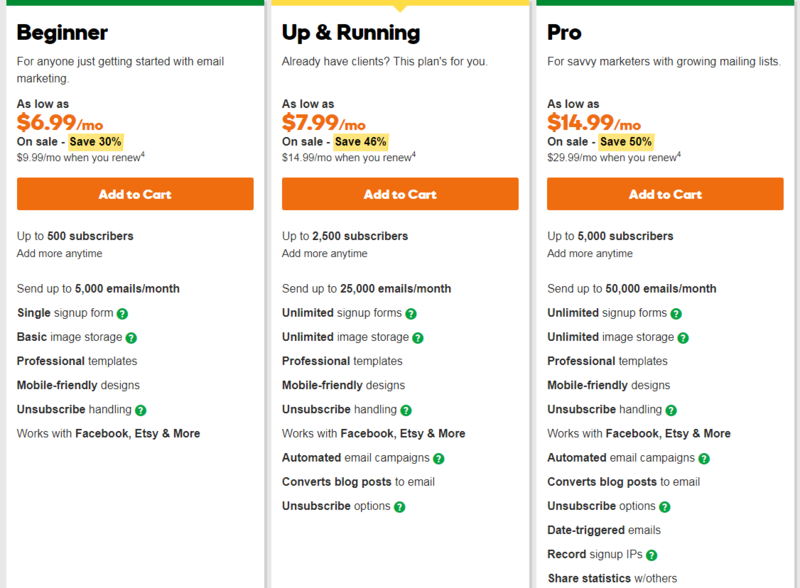 GoDaddy has revised their Website Builder price. Depending on your business needs, the SSL Cert Plans offered by GoDaddy are also able to cater for multiple domains or even single domains with multiple sub-domains. Or you could opt for the usual single domain requirement. 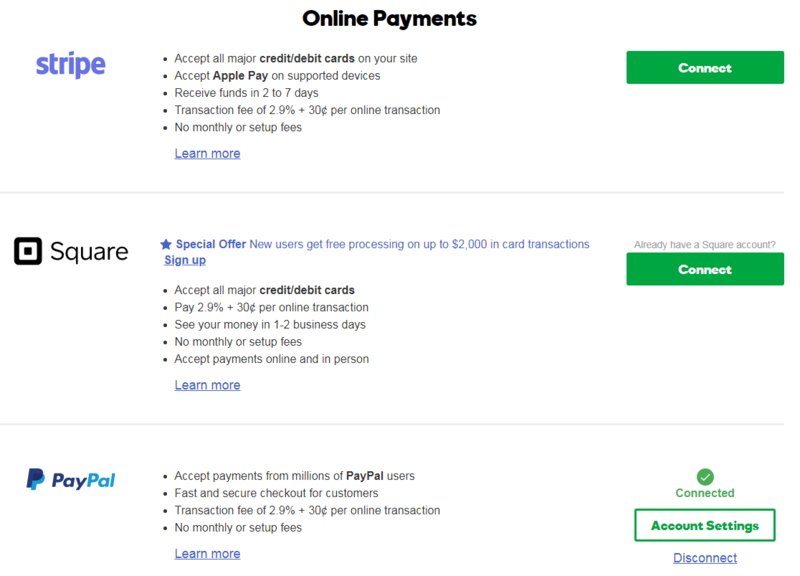 While most sellers expect an all-in-one ecommerce solution that includes important features especially when it comes to internet security, GoDaddy seems to choose to charge for this. Even InstanteStore bundles a shared SSL certificate to protect all their merchants without charging extra. The template designs are very simple with the most basic elements available. If you are looking for beautiful and eye capturing templates, you may have to look elsewhere or get them custom designed for your business site. 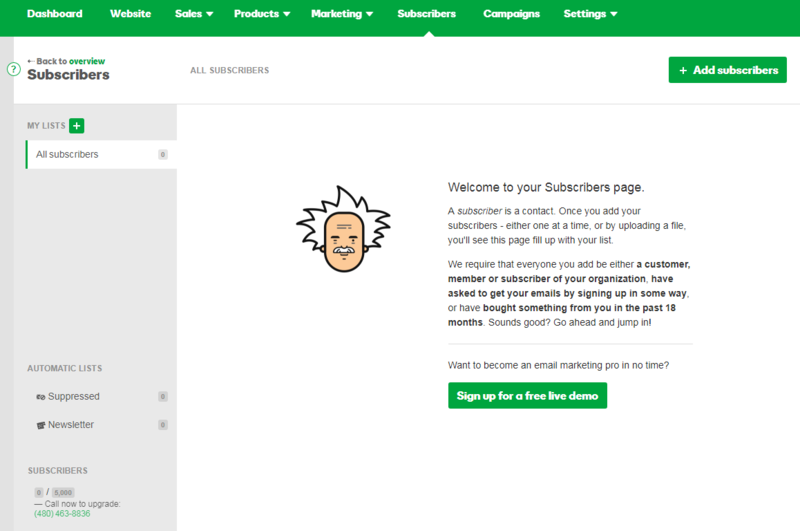 Previously GoDaddy Website Builder did not offer any free trial. Now, sellers can give it a try for 27 days free trial for any Website Builder or Online Store. I checked out the eCommerce Online Store which routed me to GoDaddy’s GoCentral. 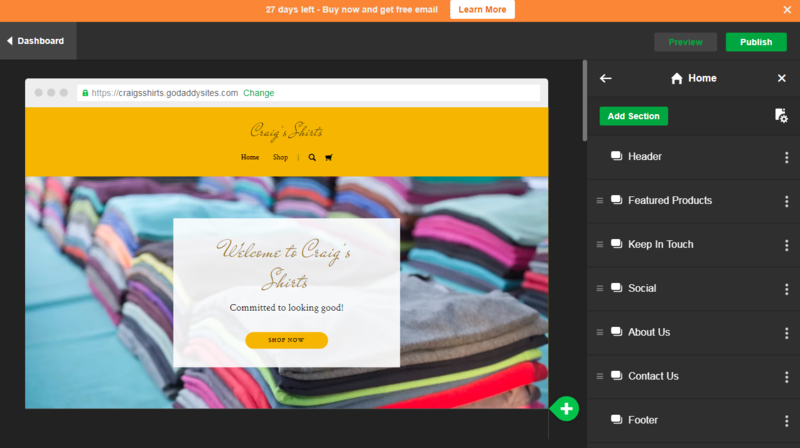 During the free trial sign up process, GoDaddy will ask what products you plan on selling. I picked Clothing and it automatically picked a frontpage image for my store. Making changes to the store is easy because you get to see the changes immediately when you type on the frontpage header or image. Merchants can easily pick other stock photos to replace on their front page as well. A good start for first time sellers as it does not require much technical knowledge. However, the downside is that you can’t pick other templates to change the look of your store. You can only pick different themes (up to 8 different themes) which only changes the color and font of the header and front page wordings. Advanced sellers who are looking for better templates and professional theme will not be easily satisfied with these options. Godaddy gives an overview of what one needs to do to get their store up and running. The Online Store Set Up makes it easy for sellers to quickly go direct to either adding their products or configuring their payments, shipping or getting their store published. 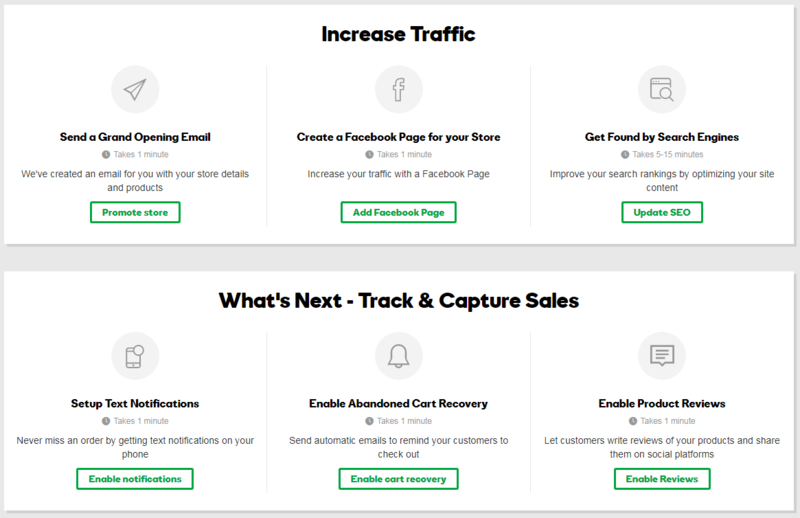 I like the fact that they’ve also made it easy for sellers to get their business out there for starters under their Increase Traffic section. And how important it is for businesses to track and capture sales and be notified as well. 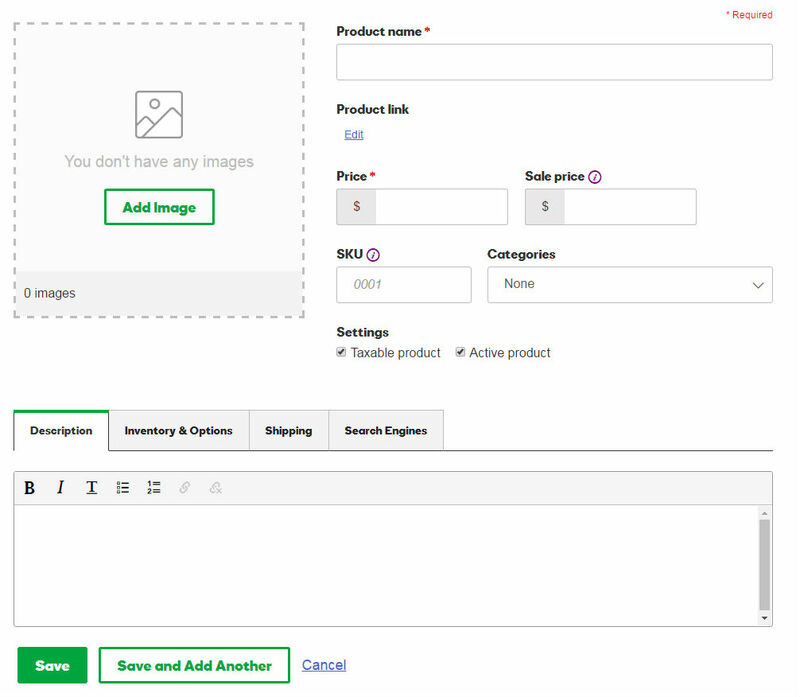 Adding products on GoDaddy is easy. Their interface is clean and very easy to use. They even have a Feedback tab where merchants can post their ideas which will end up being discussed in their forum. Good initiative as this gives Godaddy a view on what their merchants would like whether it’s something they need to improve or something new that they can add to make things better for everyone to use. They basically have only 3 payment methods – Accept credit card processing which is powered by Stripe, Square and PayPal (by default) or Offline payment method. I guess keeping it simple is always good. However, merchants who are looking for other payment gateways other than Stripe or PayPal may be disappointed. It’s really simplified. There are only a few options for merchants to choose. 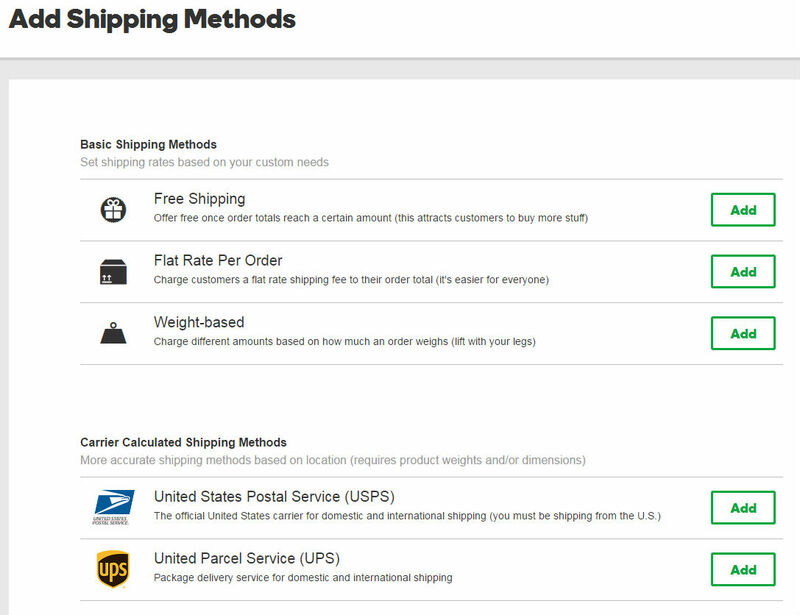 Godaddy’s shipping options are catered for first time sellers as they’ve presented the options in a straight forward simplified manner. If you require more customized shipping configuration, this may not be possible. Adding tax is easy as sellers have the option not to charge any tax or they can choose to include the tax into the product price. 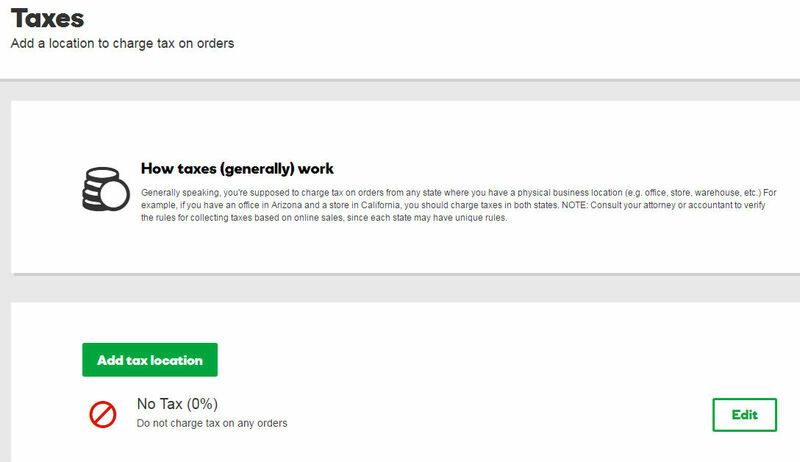 No issue here as you can specify the tax rate for different provinces or states and even countries. They have an Email Marketing option which allow sellers to create their own email campaign and build their subscriber list. There’s even an option to import in your own subscriber list. 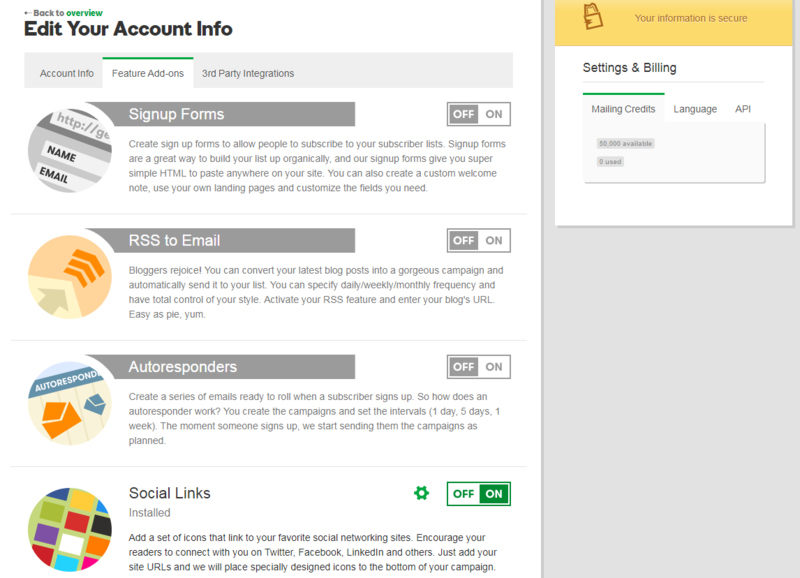 You can even select and configure what you need for your email marketing by picking the Add Ons. Just switch on the ones that you need to use. (Social Links are switched on by default). Comes with 50,000 credits. You’ll need to purchase more once you’re done sending out 50,000 emails. 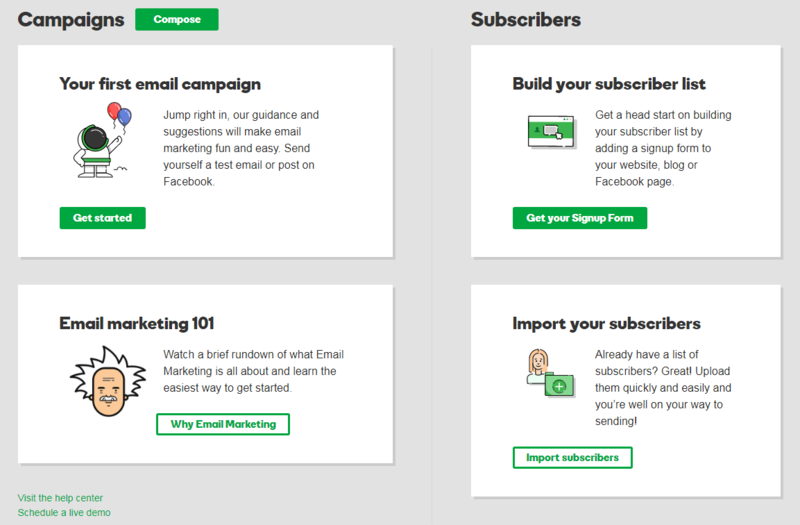 This is a great way to manage and monitor your subscriber list. However, be warned that there’s a limit to your subscriber list which is up to only 5000 subscribers. If you need to increase it, you’ll need to contact GoDaddy to upgrade your plan. So how much would it cost for an upgrade? Merchants have the option to tweak their SEO settings depending on whether they want to target worldwide or local region. 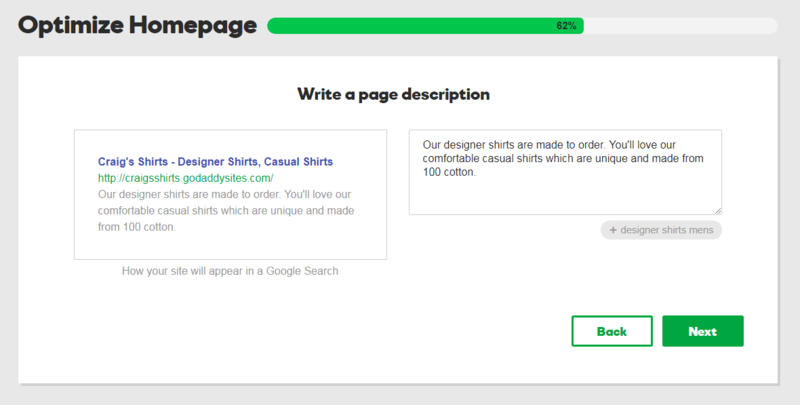 There’s even a step by step check for merchants to ensure that they set their store’s SEO right. This is a good initiative by GoDaddy to teach first time sellers about SEO and how to go about setting it up for their store. The step by step progress bar is a good indicator to give an overall view to merchants on what they need to do to complete the SEO setup for their store. Their coupon settings was easy to understand. It has the option to offer discount on dollar value or percentage. Tips for improvement : Would have been great if they could create a coupon to offer for free shipping. Customer service or support is free along with email and hosting. If you’re looking for a powerful shopping cart that comes with all the features integrated and ready to use, this may not be the solution for you. However, if you’re looking for a really simple deal to get your online site up and running without the need for complicated or powerful features, then this would be a good place to start as the pricing is affordable and you could try it out for a month or so to decide.